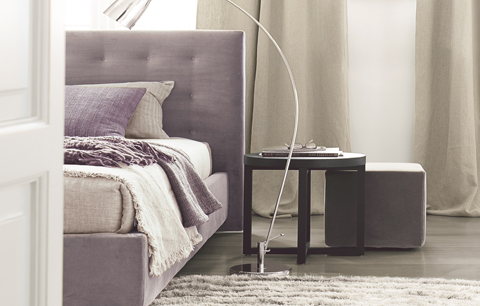 Arca, design by Paolo Piva, a bed with multiple personalities. It has a classic solid frame, but can also be romantic and dreamy when covered in a valance. 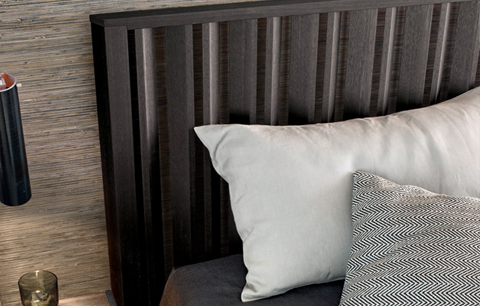 There are two different choices of the headboard, either high or low, and either can be finished in wood, fabric or leather. 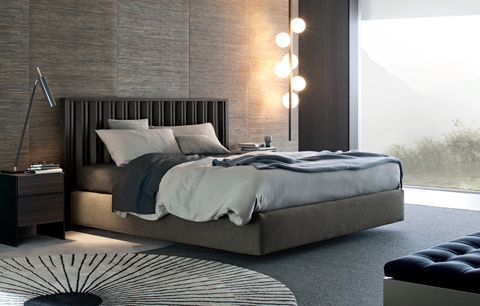 The Arca is a bed that can interpret many different styles, helping you to create the bedroom you have always dreamt of.